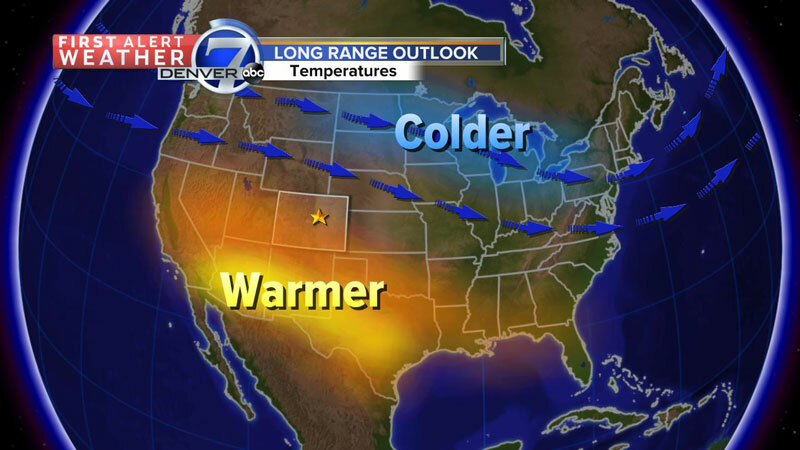 Here is my outlook for the upcoming winter season for Colorado! The El Niño/La Niña pattern of warm or cold water in the equatorial Pacific has shifted to neutral phase. Sea surface temperatures have cooled since late last spring, indicating that the El Niño event has ended. It is still too early to know if this will eventually shift to La Niña, the cool water part of the pattern, or remain in this in between phase in the coming months. La Niña tends to favor the northern mountains of Colorado with an abundance of snow. Steamboat enjoys a wonderful season during La Niña events, but the rest of the high country can often use more snow. 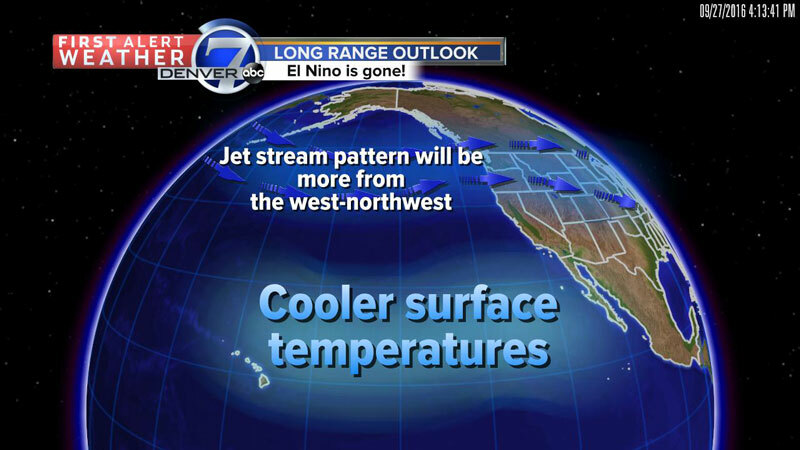 El Niño winters often bring heavy storms into the southern and central parts of California and eventually into southwestern Colorado. We had an El Niño event last winter and although it did not bring a lot of heavy precipitation to California, Colorado had a pretty wet winter and spring. Denver ended up with about 75 inches of snow last winter, with many areas on the southwest side of the metro area (higher elevations above 6,000 feet) had over 100 inches of snow. 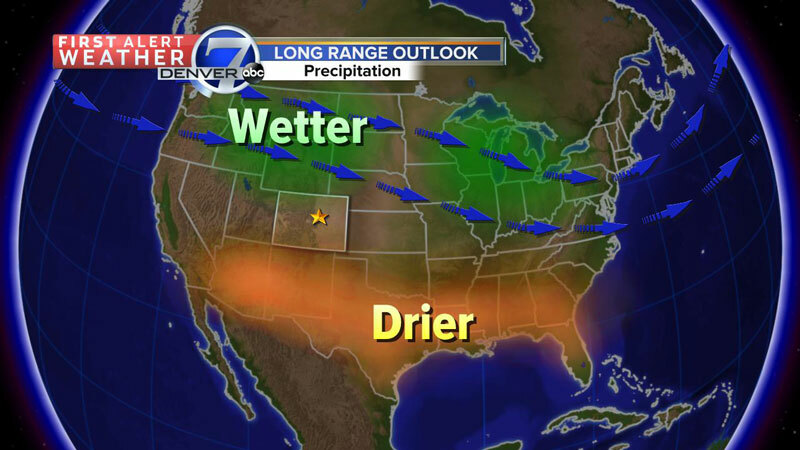 Along the Front Range, La Niña winters tend to be dry and windy ones. When there are near normal ocean temperatures in the Pacific, other factors enter into the long range forecast equation. These include temperature fluctuations in the northern Atlantic and surface pressure oscillations in the Arctic. Other factors include the amount of snowpack over the plains of northern and central Canada southward into the northern Great Plains of the U.S.
All of these factors are important, but they tend to be weaker indicators of the type of winter we will have, especially compared to strong indicators like El Niño or La Niña. Nonetheless, the upcoming cold weather season is showing indications of being dominated by a fairly persistent northwesterly jet stream flow across North America. 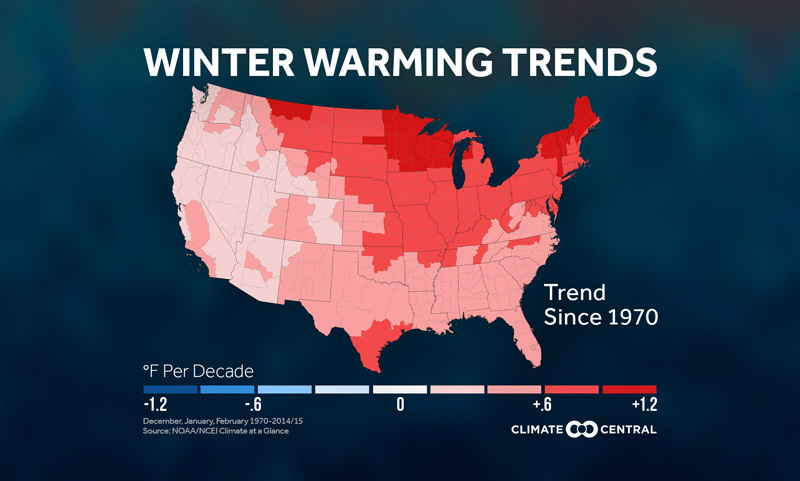 This is somewhat similar to the type of pattern we experience during a La Niña winter. In that light, our main storm track will be from the northwest, favoring the northern and central mountains with the heaviest snows, while the San Juan Mountain areas will likely see a little less snowfall. Along the Front Range a northwesterly jet stream flow will mean more windy storm events. Chinook winds that will bring mild and dry periods, but also some strong Canadian cold fronts with powdery snow and sharply falling temperatures. 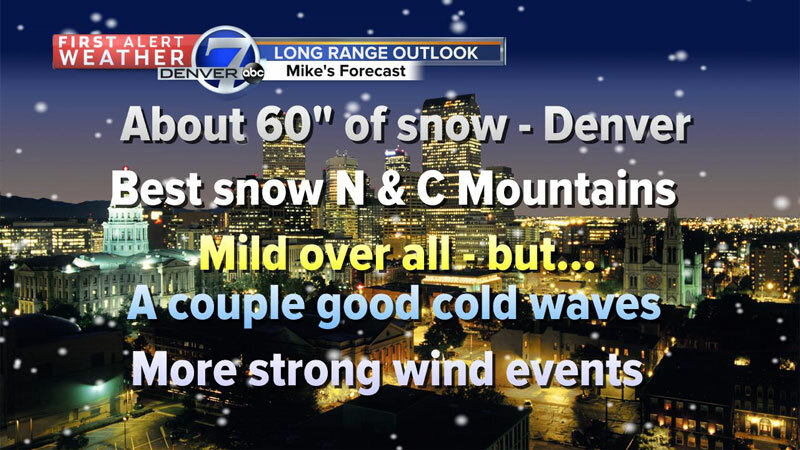 I predict that the Denver area will see about 60 inches of snow, which is close to the 30-year average, while foothill locations will pick up 80 to 100 inches of snow through early May. Of course we have trouble sometimes getting a 24-hour forecast to come out right, let along the 3-6 month timeframe so we will see. If you would like to check out more on the specifics of the extended forecast, try the Climate Prediction Center's website. Of all the seasons of the year, winter is the one that most people around the country would identify with Colorado. Our high elevation means that it is winter for most of the year on our mountain peaks, with the snow-free time lasting only a few weeks. 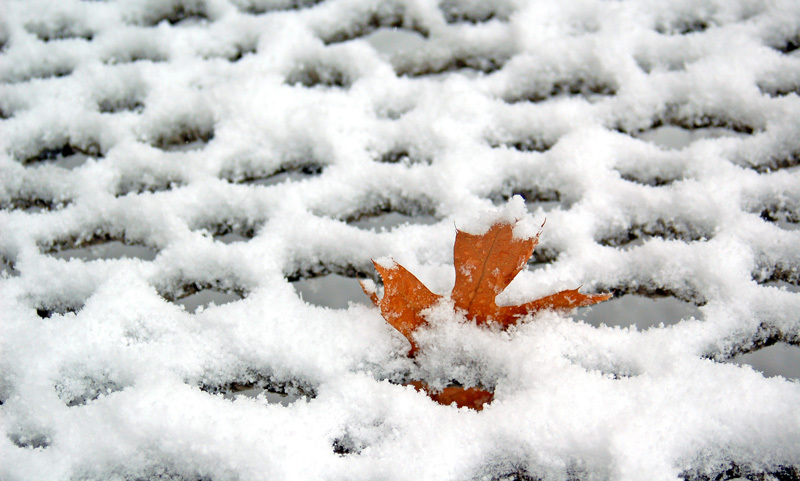 The winter season often begins well ahead of the turn of the calendar, as the first snows in Denver often come as early as mid-September. It’s not unusual for newscasts from around the nation to show us digging out of deep drifts well before Halloween. The big secret that we keep is that we are not left snowbound for months by these big storms. Instead, the rest of the country stops paying attention to us while the snow quickly melts, and we are out playing golf again by the end of the week! Colorado serves as a breeding ground for some of the most powerful storm systems that bomb the rest of the central and eastern U.S. with heavy snow. Low pressure storm systems frequently develop just to the east or to the "lee" of the Rockies. Strong winds aloft at the jet stream level (about 25,000-30,000 feet) squeeze over the mountain peaks and then out over the plains. As the air moves out away from the mountains, the pressure falls, creating a low pressure area. If conditions are right, this low will begin to swirl moisture into the region from the Gulf of Mexico. This moisture spins into clouds, rain and snow, and before long, a storm is born. These storm systems first dump heavy snow over eastern Colorado and then churn toward the northeast. Heavy, wet snow, sleet, freezing rain and even thunderstorms mark the path of these storms as they roll on toward the Great Lakes. The soggy systems that spin out of eastern Colorado can give a false impression to the rest of the nation. 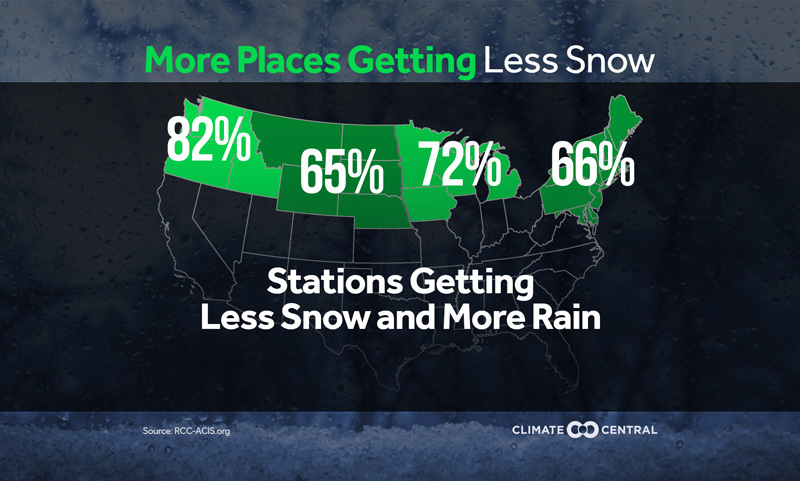 Those eastern storms often dump heavy snow on Denver, Colorado Springs, Limon or other cities on the plains, but leave the mountains with a much smaller accumulation. Television weather reports in other cities show the snow in Denver and the folks in those cities think, "wow, if Denver got a foot of snow, the mountains must have really been hammered!" In fact, eastern storms tend to be blocked off by the mountains of the Front Range, and the ski areas may have only scattered clouds while Denver gets the big snow. A great example of the difference between the mountains and the plains was back in October 1984, when the Broncos played the Packers in a blizzard at Mile High Stadium. The national television audience saw all that snow in Denver and inundated the ski resorts with calls for reservations. Being good business people, ski resort personnel didn't mention the fact that at the time, skies were clear in Vail and Aspen! An old saying about Colorado weather is very helpful when trying to figure out if and where a storm system will bring heavy snow. Remember “Pacific front, mountains bear the brunt; southeast low, Denver gets the snow.” Storm systems on the eastern plains spin their heavy snow over the Front Range and adjacent plains, but may miss the mountains. In contrast, a moist storm front coming from the Pacific coast may dump very heavy snow on the mountains but have very little moisture remaining by the time it slips down into Denver. Those Pacific fronts have a rough time staying intact as they first hit the Cascades and Sierra Nevada Mountains then cross the Wasatch Range in Utah and finally struggle over the Continental Divide. When the once mighty storm finally tops the last of three or four mountain ranges, moisture is so depleted that Denver doesn't even get a flake of snow! Sometimes these storms regenerate into a major system again once they get farther to the east of Colorado. The leftover circulation of the storm will start to tap into the rich supply of moisture available from the Gulf of Mexico and the storm will once again become a powerful precipitation producer! In that situation, our neighbors in Oklahoma, Kansas, Nebraska and points farther east get a messy winter storm while Denver and adjacent cities in the I-25 corridor have just some clouds and gusty north winds on the backside of the storm. These storms are frustrating to forecast as they usually feature headline making weather from the West Coast, with huge waves, heavy rain, wind and mountain snow. 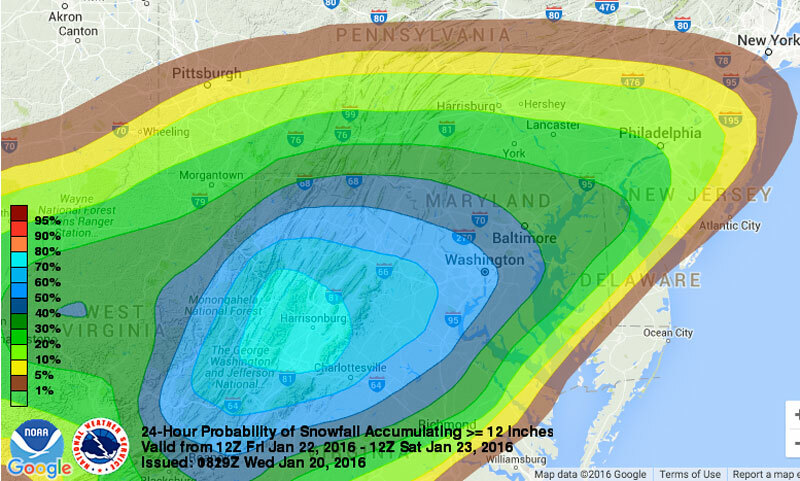 The storm takes a couple of days to get here, so there is plenty of buildup and anticipation. First our mountains get heavy snow, but then the storm seems to jump right over Denver, before bringing nasty winter weather to extreme eastern Colorado and most of the Midwest. Such a storm scenario makes it seem like Denver has a big clear plastic dome over us. Such are the trials and travails of high plains weather forecasting!